Do higher wages lead to higher prices? 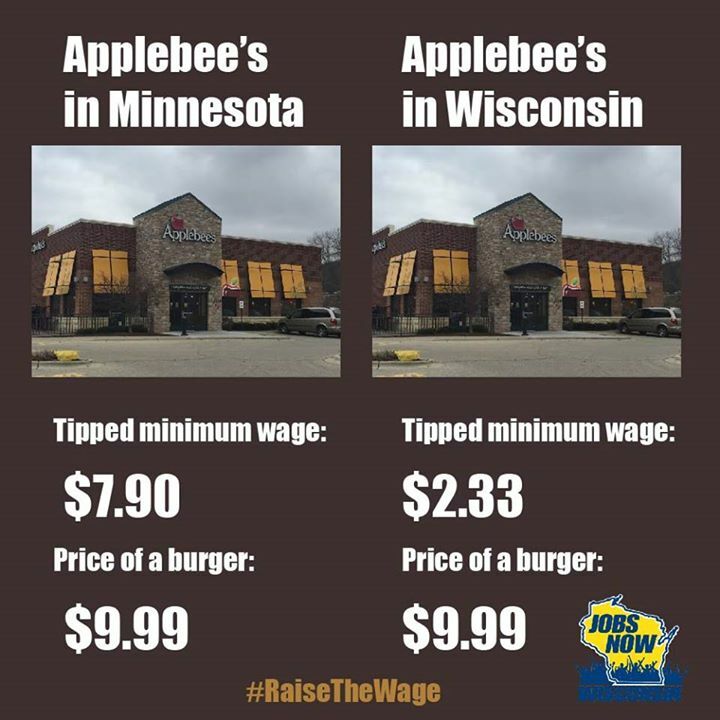 One of the arguments of the bosses and their representatives is that an increase in the minimum wage will cause prices to increase – that we’ll be paying $15 for a MacDonald’s hamburger if they have to pay their workers $15 per hour. As the photo above shows, that’s not true. But it also helps to know why it’s not true. Karl Marx debated that exact question almost 150 years ago. He explained, in short, that if workers get a pay increase and the bosses try to raise prices to make up for it, then demand for the items that workers usually buy will drop relative to the demand for luxury items. As demand for worker-bought items (ground chuck, etc.) decreases (relative to luxury items – yachts, filet mignon, etc. ), they will then be forced to drop those prices. As for the luxury items, there will be no increased demand for them, so price increases will not be able to hold. It’s well worth reading Marx’s argument in full, as he explains it in “Value, Price and Profit”, since he also explains what value is, how prices are determined, etc. Gains in productivity has risen while wages have stagnated in the U.S. since the 1970s, and capitalists elsewhere have since joined the trend. We’ll need more than a one-time increase in the minimum wage to get back what we’ve lost over four decades, as welcome as a $15 national minimum wage would be. The main consideration for socialists in demanding a living wage on the basis of Marx’s law of value should be to teach workers that wages are a function of organisation, militancy and class strength, not fairness. There are numerous features of contemporary capitalism that are incompatible with the living wage demand, notably globalisation (it is not possible to raise wages when capitalists are able to exploit ‘free movement’ to lower wages at will. These are serious points that socialists ought to consider in relation to the current campaigns for a living wage. Thanks to Alex Gordon for his comments. He points out how in the era of globalization, the capitalists tend to flee to the lowest wage area or country, thus undercutting any drive to raise wages. Workers in the US (especially industrial workers) have certainly seen this. The conclusion that the union leaders and their puppeteers – the capitalists – draw is that it’s impossible to raise wages therefore. In the past, workers in the US went from local unions to regional to national, exactly to combat this same tendency. We now have to make a huge step from there to truly international unions and international struggles for higher wages, better conditions, strong environmental regulations, etc. Internationalism in deeds, not just words.